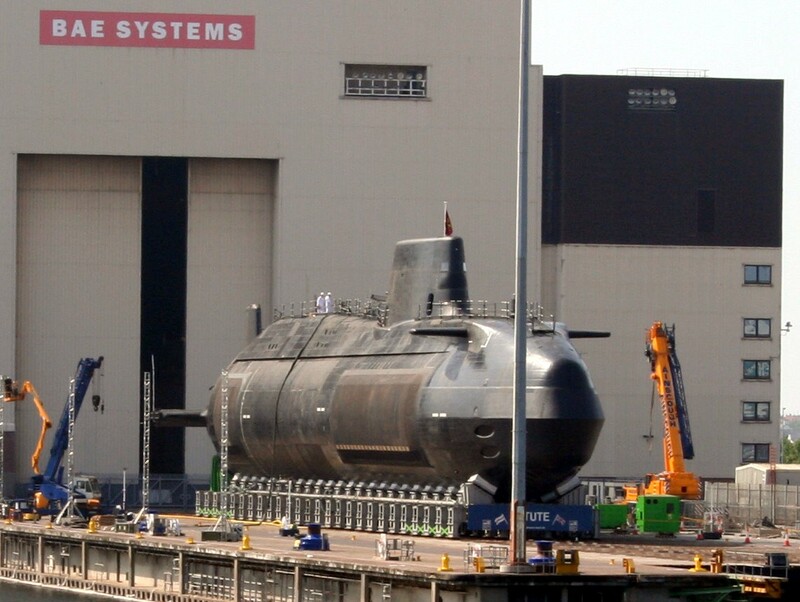 Builder: BAE Systems Submarine Solutions, Barrow-in-Furness, Cumbria, U.K.
Astute was ordered from GEC's Marconi Marine (now BAE Systems Submarine Solutions) on 17 March 1997. 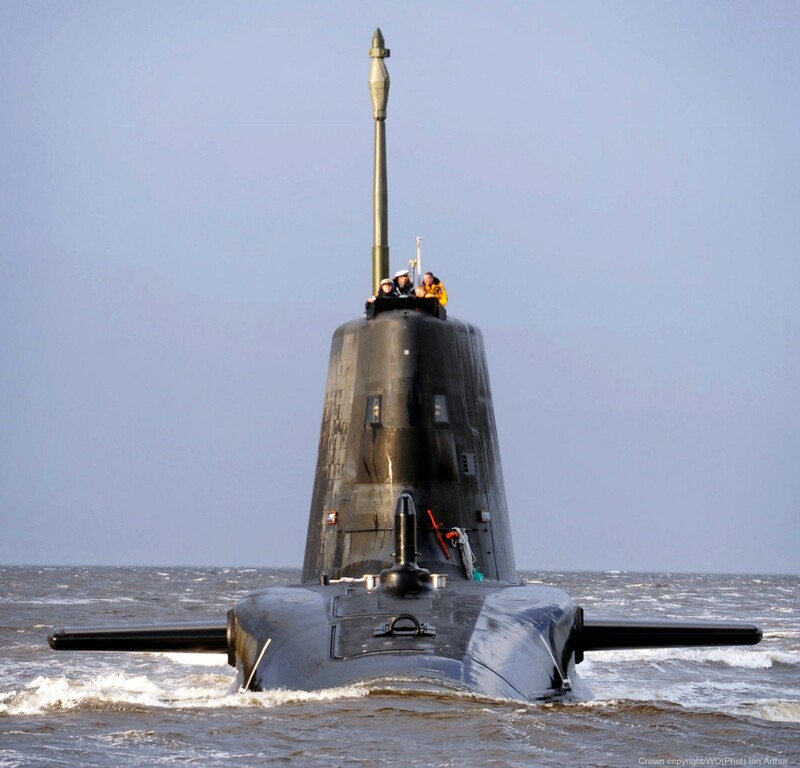 She was laid down at BAE's submarine facility in Barrow-in-Furness on 31 January 2001, 100 years to the day after the keel was laid down for the Royal Navy's first submarine Holland 1. 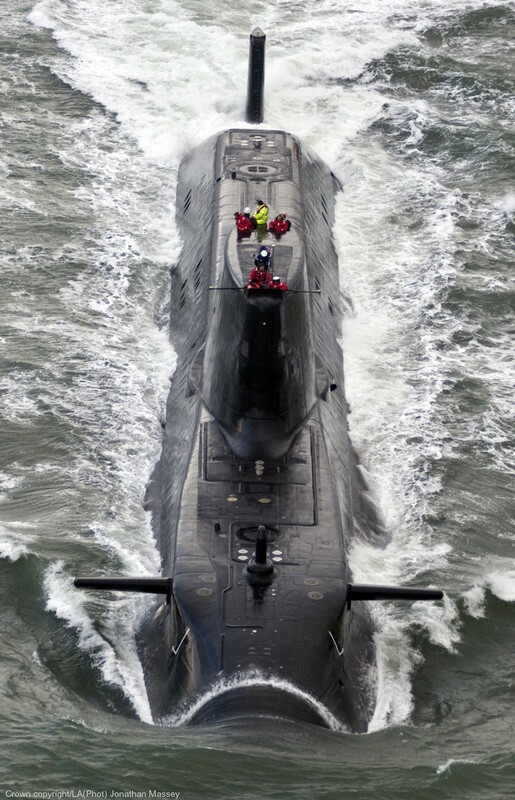 She was the first submarine built in the UK since HMS Vengeance (launched in 1998). Astute was launched on 8 June 2007 by HRH The Duchess of Cornwall, 43 months behind schedule. The launch attracted more than 10,000 spectators. 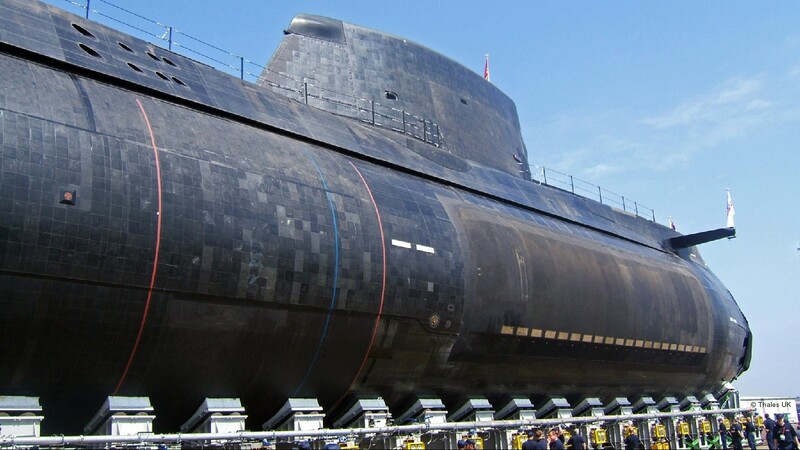 Her builders BAE Systems described her as "the largest and most able attack submarine that the Royal Navy has operated, with a performance to rival any in the world". 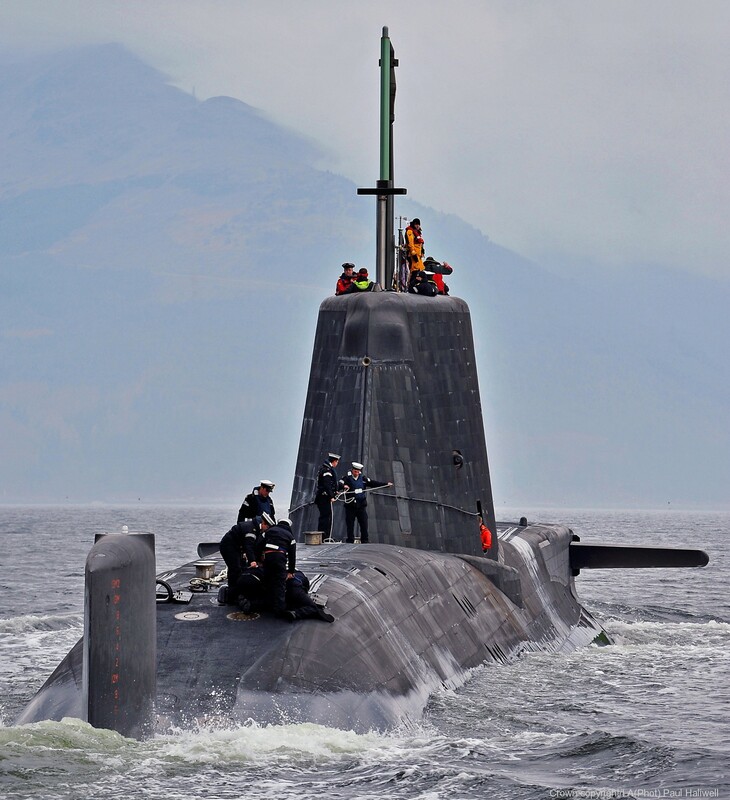 Astute left Barrow on 15 November 2009 and on 20 November 2009, arrived at her home port of HMNB Clyde at Faslane. 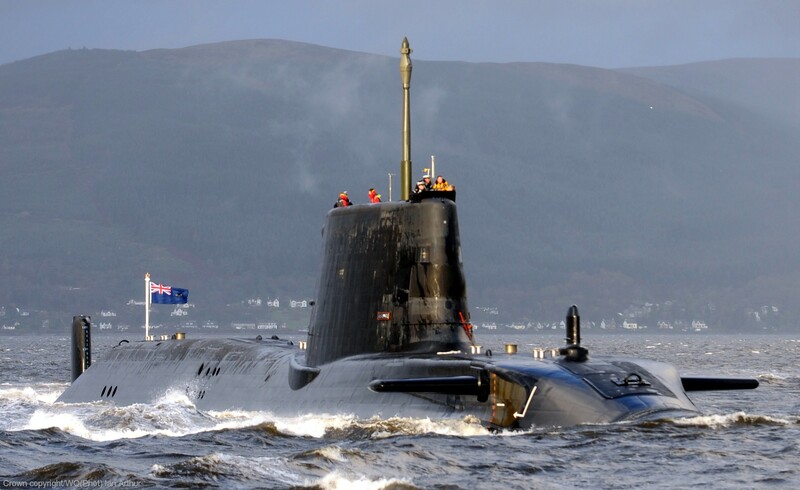 On 16 February 2010 Astute left Faslane for sea trials and dived for the first time on 18 February 2010. 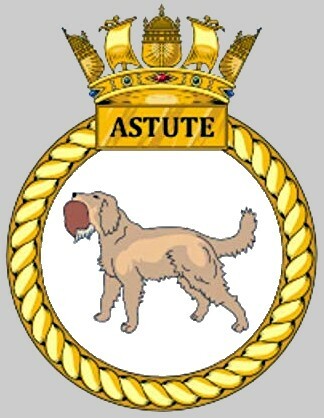 HMS Astute was commissioned on 27 August 2010, when she was given her HMS prefix, in a ceremony watched over by her patron the Duchess of Cornwall. 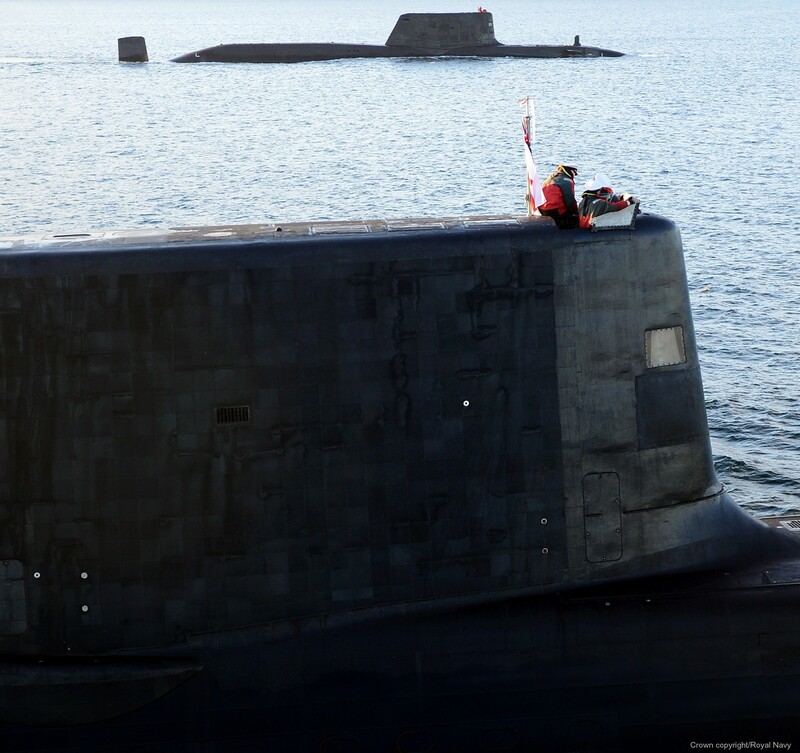 She was delivered to the Royal Navy on 18 July 2013 and at that time was reported to be, "nearing the end of her sea trials." 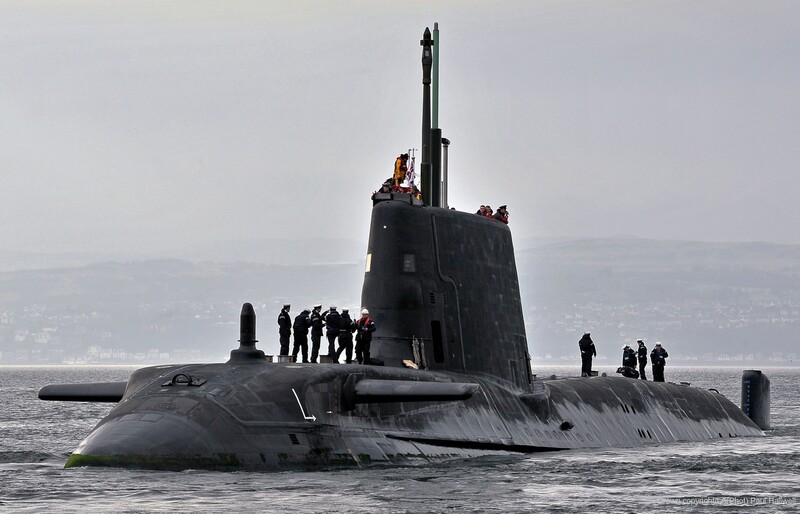 In reality, the Royal Navy declared Astute to be fully operational in May 2014, some 13 years after being laid down. 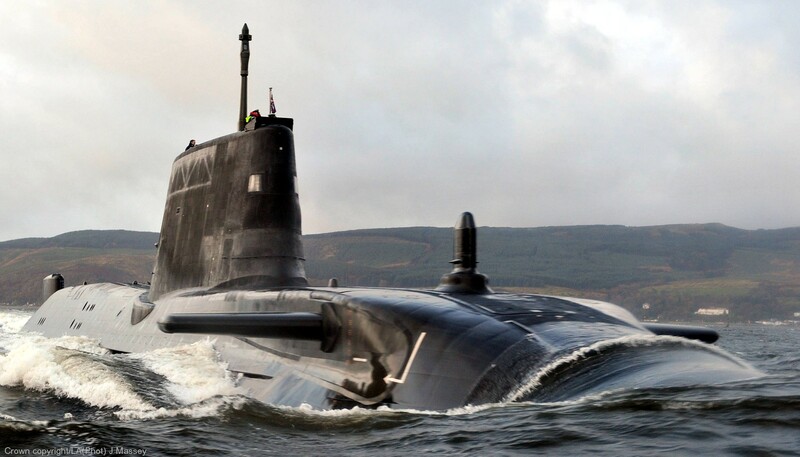 The Royal Navy announced a speed of 29 knots for the class, but it was reported in 2012 that this speed could not be reached in the trials due to a mismatch between the reactor and the turbine. In March 2014 the top speed requirement for Astute was met, according to a National Audit Office (NAO) report. In November 2012 The Guardian reported that there had been a serious leak that caused an emergency surfacing because a cap for a pipe was made of the wrong metal, even though the inventory claimed proper checks had been made, that there were problems with reactor monitoring instruments because the wrong grade of lead was used, and circuit boards had not been correctly fitted. The Ministry of Defence and BAE Systems confirmed the problems were being worked on. An MoD spokesman said "It is normal for first of class trials to identify areas where modifications are required and these are then incorporated into later vessels of the class." 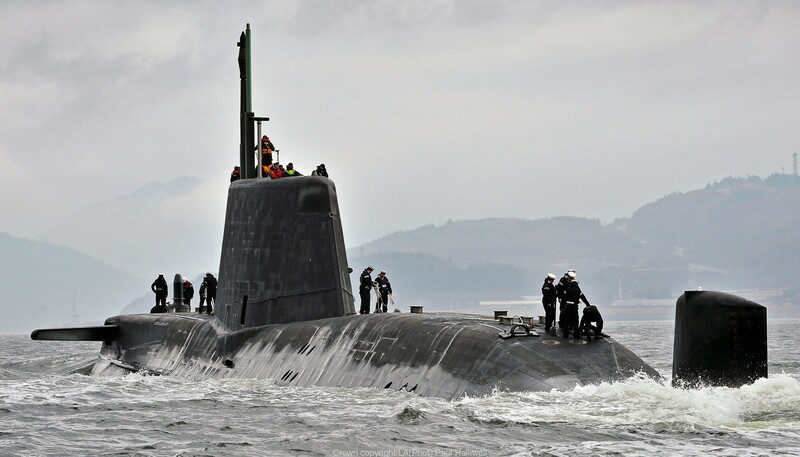 On 22 October 2010, the Ministry of Defence confirmed that Astute had "run into difficulties" off the Isle of Skye while on trials, after eyewitnesses reported the submarine had run aground a few miles from the Skye Bridge. There were no reports of injuries. The captain of the vessel elected to wait for tug assistance, rather than use the submarine's own power to clear the stern from the obstruction, to minimise the damage to the hull's anechoic tiles. A Royal Navy spokesperson said the vessel had been grounded on silt, and was re-floated at high tide. The Maritime and Coastguard Agency-chartered emergency tow vessel Anglian Prince was dispatched to the scene from Stornoway. 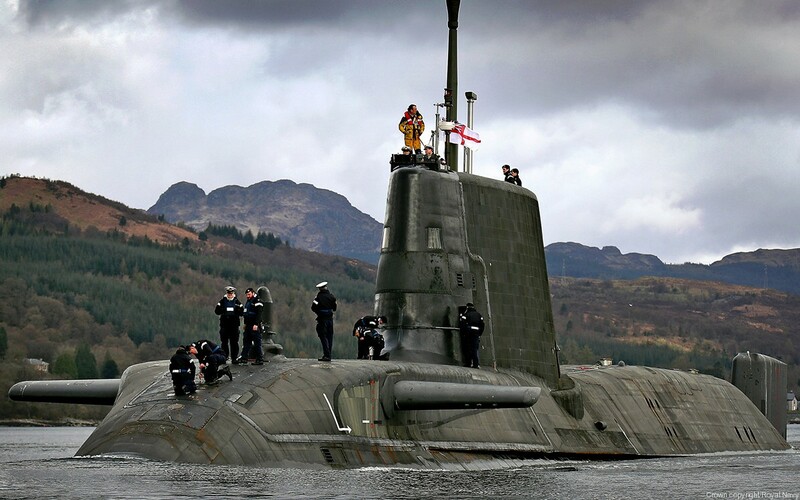 The submarine returned under her own power to Faslane, where the damage incurred was described as "minor". A Service Inquiry concluded the main cause of the grounding was not following navigation procedures combined with the watch officer not appreciating the proximity of danger. On 27 October 2010, the Royal Navy announced that the captain of Astute, Commander Andy Coles, had been relieved of his command. 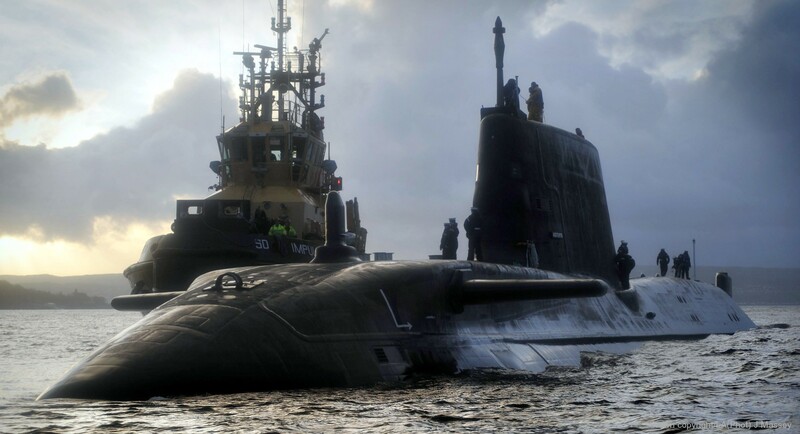 In December 2010 it was announced that Commander Iain Breckenridge, who previously commanded the submarine HMS Tireless, would take over command. 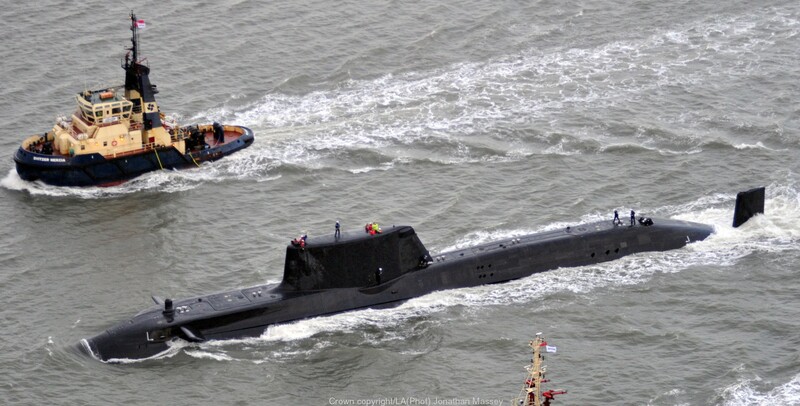 On 11 December 2010, on her first day back at sea after the grounding incident, Astute had to return to port for repairs due to a problem with her steam plant. On 8 April 2011, one naval officer was killed and another injured in a shooting on board Astute while berthed at Southampton docks. Southampton City Council's leader, chief executive, and mayor were on board at the time. During a changeover of armed guards, 22-year old Able Seaman Ryan Donovan opened fire with an SA80 assault rifle in the submarine's control room, hitting two officers, before being overpowered by Southampton Council's leader, Royston Smith, a former RAF flight engineer, and chief executive Alistair Neill. Starting in late 2011, she began a 5-month stay at the US Navy's Atlantic Undersea Test and Evaluation Center in the Bahamas, in which she fired Spearfish torpedoes and Tomahawk missiles. 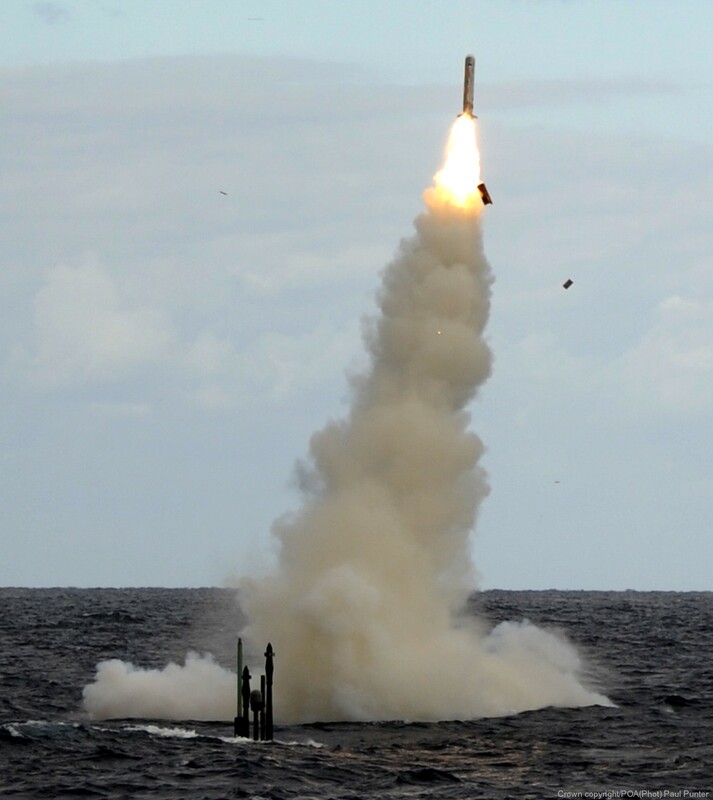 Astute launched two Tomahawks, the first missile on 15 November 2011. They were the Royal Navy's ninth and tenth Tomahawk flight tests. In February 2012, Astute rendezvoused with the Virginia-class submarine USS New Mexico underwater in the Atlantic Undersea Test and Evaluation Center for a series of war games. Present were the head of the Royal Navy, Admiral Sir Mark Stanhope and the head of the United States Navy, Admiral Jonathan W. Greenert. It was reported that Astute "surpassed expectations" and that the Americans were "taken aback" by Astute's capabilities. 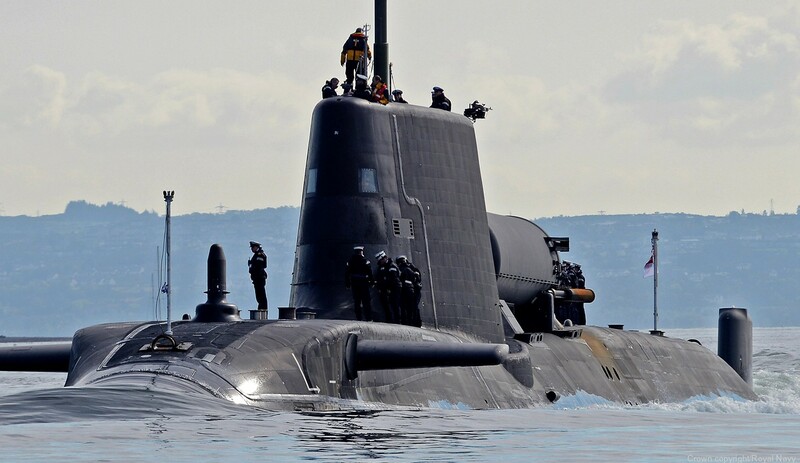 Royal Navy Commander Iain Breckenridge was quoted saying: “Our sonar is fantastic and I have never before experienced holding a submarine at the range we were holding USS New Mexico. 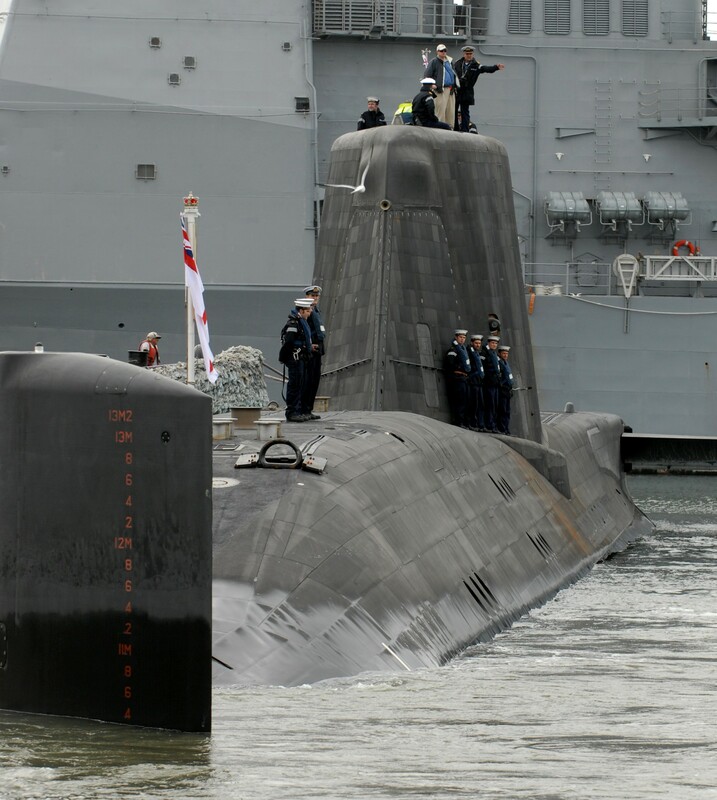 The Americans were utterly taken aback, blown away with what they were seeing.” Astute had been expected to conduct her first operational deployment in 2013. 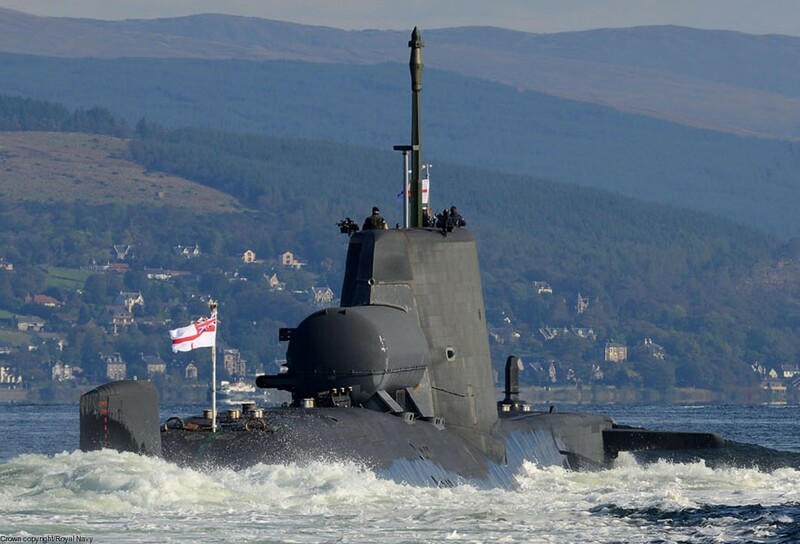 Astute departed Faslane on her maiden deployment at the beginning of 2014, spending eight months abroad. Her deployment included an attached dry deck shelter aft of the sail, possibly for an SBS (Special Boat Service) troop deployment. 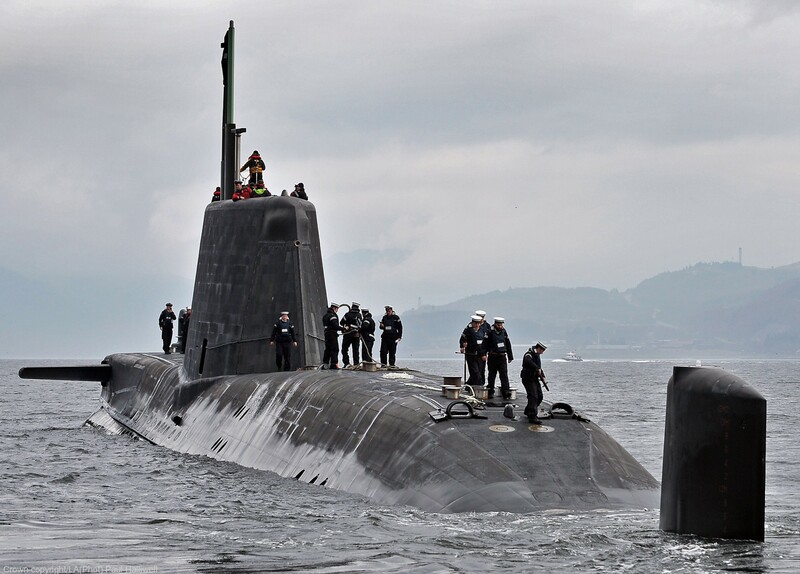 Astute returned to Faslane in October 2014.